Who has the Number 1 christmas song in the world? “Rockin around the Christmas tree” is the most popular, most downloaded Christmas song off all time. 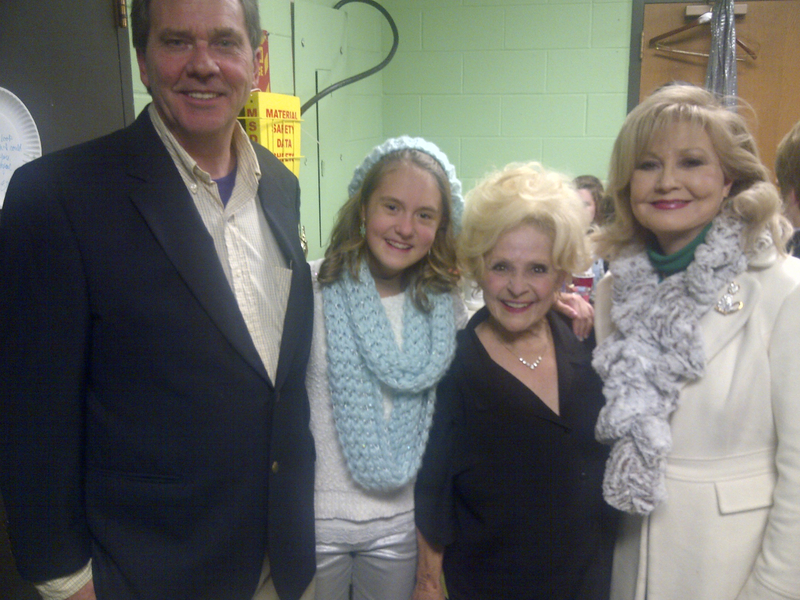 We got to see Brenda Lee last year give hometown audiences a rare performance, with her full Band with a special surprise appearance by Santa Clause who revealed himself to be Vince Gill! Many of Nashville’s music industry elite were on hand to pay homage like Tandy Rice and others No one was more special to her than her children, husband, and grandchildren to whom she acknowledged from the stage and proudly introduced to anyone who was lucky enough to be backstage. What a dynamic performance to see Rock and Roll musics true pioneer and Icon bring the house down in a sold out auditorium benefit for St. Cecilia Academy in Nashville 2013. Brenda was born Brenda Mae Tarpley on December 11, 1944 in the charity ward of Grady Memorial Hospital (part of Emory University Hospital complex) in Atlanta, Georgia. Her mother, Grayce Yarbrough Tarpley Rainwater, today resides in Lithonia, Georgia. Her father, Ruben Lindsey Tarpley, was a carpenter and semi-professional baseball player. He was killed in a construction accident in May 1953. Brenda has two sisters and a brother. Her sisters Linda (born in 1942) and Robyn (born in 1955) and her brother Randall (born in 1949) still live in Georgia. Brenda attended several grade schools, mostly in Georgia. She attended Maplewood High School in Nashville, Tennessee and graduated from Hollywood Professional School in California on June 12, 1963. 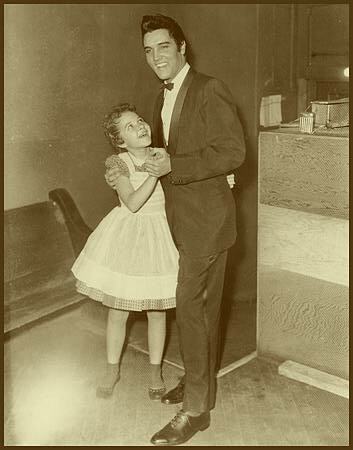 During a Jackie Wilson concert at the old Fairgrounds Coliseum in Nashville, Tennessee, Brenda met her future husband, Ronnie (born May 12, 1944). They were married on April 24, 1963 at Radnor Church of Christ in Nashville, Tennessee. Brenda and Ronnie have two daughters, Julie and Jolie, and two granddaughters. Julie was born in 1964 and was married in October 1986. Jolie was born in 1969 and married in January 1993. Both granddaughters were born on November 12 – one in 1988 and the other in 1996. A tearful ballad “My Daddy is Only a Picture” (a song recorded by Eddy Arnold in 1948). At the age of 5 Brenda represented Conyers (Georgia) Grade School in an annual talent contest at the Spring Festival conducted among several elementary schools in the area. Brenda donned a home-made evening gown and sang “Slow Poke” or “Take Me Out To The Ballgame” (according to different sources). Brenda won first prize in the talent contest and runner-up in the beauty contest. This competition led to an offer to sing on a regular basis on Starmakers Revue, a popular Atlanta radio show. Brenda appeared for 1 year. “Too Young” was her first number sung on the air. The sponsor of the show was Borden’s Ice Cream. “They didn’t pay any money for singing on the show but you could get all the ice cream you could eat,” Brenda recalled. This radio show led to a regular slot on a local TV program called TV Ranch on Atlanta’s WAGA-TV. 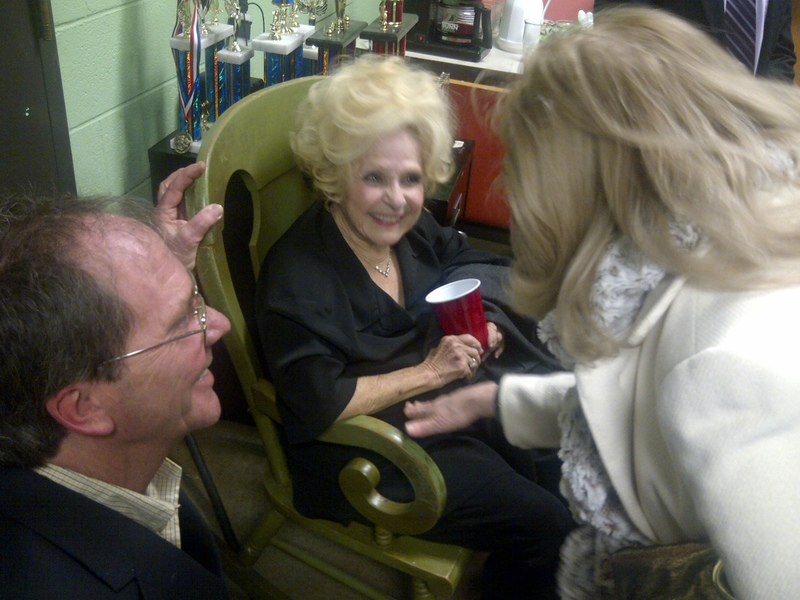 Brenda appeared each Saturday and sang with Boots Woodall and the TV Wranglers. On the first show Brenda sang “Hey Good Lookin.” The audience demanded an encore and she sang “Too Young.” Brenda received no money, not even ice cream. Brenda sang in the church as a young child and at age 5 or 6 sang gospel music with the Master Worker’s Quartet in Georgia. Appearances on TV Ranch lead to her first professional paid job for Shriner’s Club Luncheon for which Brenda was paid $20. In 1955, Brenda’s mother married Jay Rainwater. The family lived in Cincinnati, Ohio. Brenda began working in Jimmy Skinner’s Record Shop on two Saturday programs over WNOP in Newport, Kentucky. 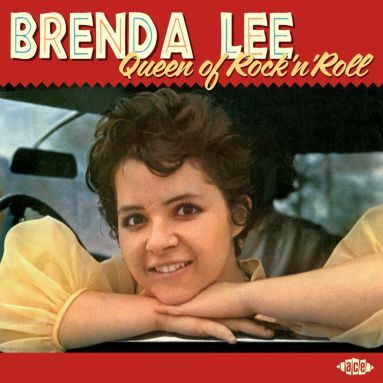 Brenda sang the big country music hits of the day. Brenda Lee onstage at Centennial Park, Nashville, Tennessee, late 1950s.